When will be Divine Design next episode air date? Is Divine Design renewed or cancelled? Where to countdown Divine Design air dates? Is Divine Design worth watching? Divine Design is a Canadian interior design show which airs on W Network in Canada and HGTV in the United States. It is hosted by Candice Olson, one of Canada's top designers. In the show, Olson heads a team of artisans and skilled labourers that includes Paul Daly (carpenter), Lorne Hogan (carpenter), Chico Garcia (electrician), Edmond Joseph (seamster), Terry Edward Briceland (seamster), and Andrew Downward (painter). 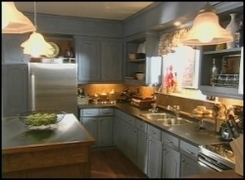 The half-hour show features Olson's step-by-step interior redesign of a client's living space mixed with campy comedy shorts before each commercial break.At the start of each show, Candice meets the home owners and discusses the issues with the room. Next, Candice reveals her point of inspiration, illustrations and colour scheme to the audience. The room is cleared of all contents, then the walls are painted. Next, the lights are installed. The carpenter generally constructs at least one new custom piece in addition to helping to reset the room with all new furniture. Occasionally, Candice will use the room's existing furniture—if she does, she generally re-upholsters it. 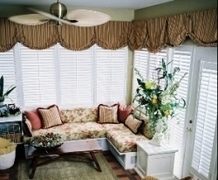 Then, the seamster hangs curtains and makes accent pillows. Finally, the room is accessorized. 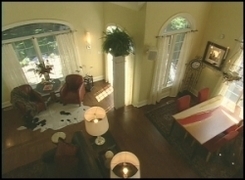 At the end of the show, the room is "revealed" to the homeowners. Usually before or after ads, small comedic skits are performed, such as one episode where she is seen swinging Tarzan style from lighting wiring (episode number unknown).Throughout the program, Candice chooses a handful of specific pieces or techniques to highlight. She refers to her "elevations" and room illustrations to help guide viewers through her vision. Candice often dislikes matching furniture sets, which she calls "matchy, matchy." 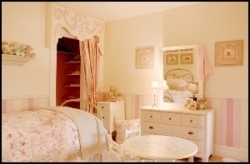 For example, she will often choose two very different looking nightstands for a bedroom. Candice prefers to use recessed lighting in almost all cases, using spotlights to highlight artwork or other focal points. 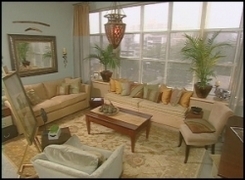 Divine Design next episode air date provides TVMaze for you. EpisoDate.com is your TV show guide to Countdown Divine Design Episode Air Dates and to stay in touch with Divine Design next episode Air Date and your others favorite TV Shows. Add the shows you like to a "Watchlist" and let the site take it from there.